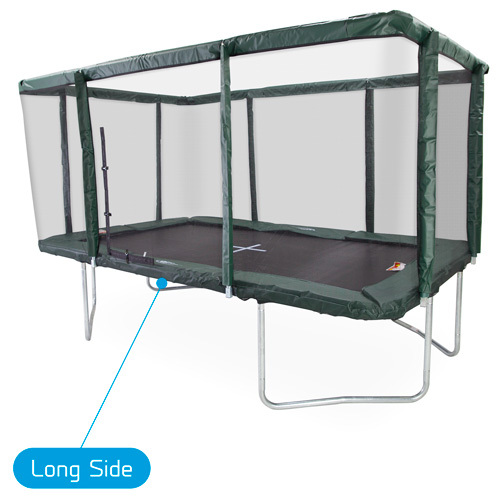 Bounce safely with a GeeTramp® net enclosure. 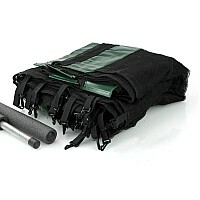 GeeTramp® has gone to great measures to ensure this netting system is one of the safest in the market. If you're not sure if this net is compatible with your trampoline, contact us. Note: inspect your existing net poles and mounting hardware to ensure that they can be re-used as these items are not included. The net entrance can only be positioned on the long side of the trampoline.